He goes on to explain that this has resulted in a more positive outlook in terms of Nigerian consumers’ immediate-spending intentions, which has risen to 48% (up from 38% in Q1) who say now is a good or excellent time to purchase what they need or want. This increasingly positive sentiment is also reflected in their job prospects, with 67% viewing them as excellent or good (up from 56% in Q1’18) and 29% as not so good or bad. Looking at whether Nigerians have spare cash, a majority of 54% said yes – up nine points from the previous quarter, while 46% said no. Looking at what their spending priorities are once they do have spare cash, according to each sector the highest number at 86% would put it in savings; followed by 82% on home improvements; 72% on new clothes; and 67% would use their spare cash for both out of home entertainment and investing in shares and mutual funds. When asked about the changes in their spending to save on household expenses, compared to this time last year, 80% of Nigerians agreed that they have changed their spending habits. In terms of the actions they took to save money last year, the highest number (66%) said they spent less on at home entertainment; followed by 57% who took less holidays; 42% who spent less on new clothes; and 39% who delayed the replacement of major household items. Some of the major concerns driving this more cautionary mindset include 19% who think the economy is their biggest concern over the next six months, whereas 12% consider food prices and 11% said work/life balance is their biggest concern. When asked what their second-biggest concern would be over the next six months, 19% said food prices, 13% said work/life balance and 12% mentioned job security. From a stable confidence level in Q1’18, Ghana dropped 12 points this quarter to 108 – the lowest since quarter 3, 2016. Sun comments: “Though consumer confidence in Ghana has declined in Q2’18, it still leans on the positive side – 100 being the neutral point on the index. The declining economic growth in Ghana, subdued performance in the non-oil and industrial sector, and poor agricultural performance has led to declining confidence levels this quarter”. He adds that this uncertain sentiment is reflected by the six-point drop in Ghanaians, down to 79%, who describe the state of their personal finances over the next year as excellent or good, and 17% (increase of 10% from Q1’18) who say the state of their personal finances is “not so good” or “bad”. 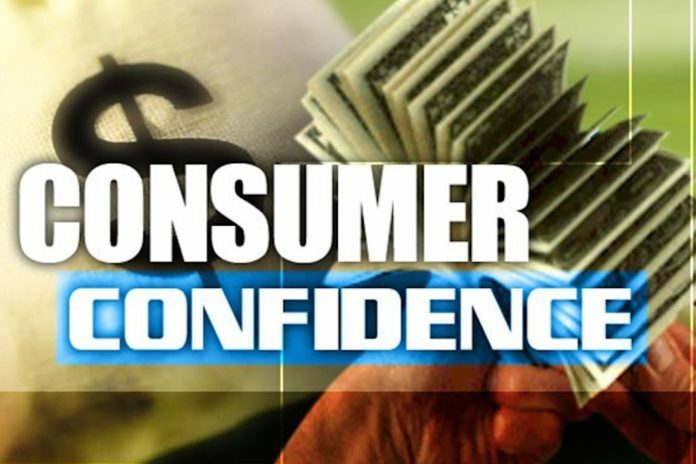 “It’s therefore no surprise that Ghanaian consumers’ immediate-spending intentions have declined, with only 35% of respondents (down from 48% in Q1’18) who say now is a good or excellent time to purchase what they need or want, versus the 61% who said it was not,” reports Sun. This declining sentiment is also reflected in Ghanaians’ job prospects, which has dropped 11 points to 54% who view them as excellent or good – and a 10-point rise to 39% who think their job prospects are not so good or bad compared to the previous quarter. Looking at whether Ghanaians have spare cash to spend, there was an even 50/50 split between those respondents who said yes and no. Looking at what their spending priorities are once they do have spare cash, the highest number, 78%, would spend it on home improvements; 77% would put it into savings and 61% would spend on new clothes. When asked about the changes in their spending to save on household expenses, compared to this time last year, 61% of Ghanaians agreed that they have changed their spending habits. In terms of the actions they took to save money last year, the highest number (49%) said they spent less on at home entertainment, followed by 48% who took less holidays, 32% who delayed the replacement of major household items, and 31% who spent less on new clothes. The factors driving this more cautionary mindset are embodied in Ghanaians’ biggest and second-biggest concerns over the next six months. The highest number of respondents (14%) said health is their biggest concern, followed by work/life balance (13%), and food prices and the economy (both at 12%). When asked about their second-biggest concern over the next six months, 16% of respondents said work/life balance, 12% said their kids’ education/welfare, and food prices and higher fuel prices both recorded 11%. 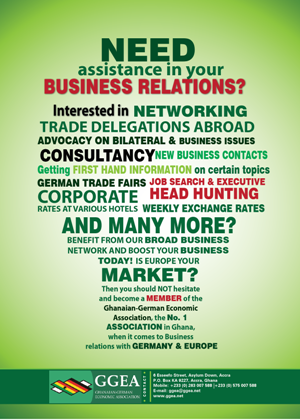 Elaborating on these results, Sun says: “Despite the decline in confidence levels, Ghana’s outlook is still positive. A strong domestic demand and favourable performance on oil, cocoa and gold, coupled with ongoing investment in the country, gives hope for a brighter second-half in 2018 for the country, resulting in a revival of consumer sentiments and spend”.